Clicking is the path to collection. Your web shop leads to orders. Connect your Click and Collect web shop to your physical shop and start selling online. Nettl :click&collect for online retailers. Customers increasingly want to know an item is in stock before leaving home. They also want to know they’re getting a good price. This is where Click and Collect has it’s advantage. This explains the explosion in Click and Collect services. Across all major retailers, over half are already offering Click and Collect. Many more are planning to add it this year. For retailers, it makes perfect sense. According to Internet Retailing magazine, more than 60% of Click and Collect shoppers go on to purchase further products during item collection. Nettl :click&collect is a powerful web shop. It works seamlessly with your real shop. Sell online to customers you’ve never met. Offer Click and Collect options to your customers and you will see the increase. Like big retailers, but to your local customers too. Mark Lewis, Online Director at John Lewis, January 2015. How Nettl Click and Collect works. Give customers the choice of times slots. Delivery or collection. 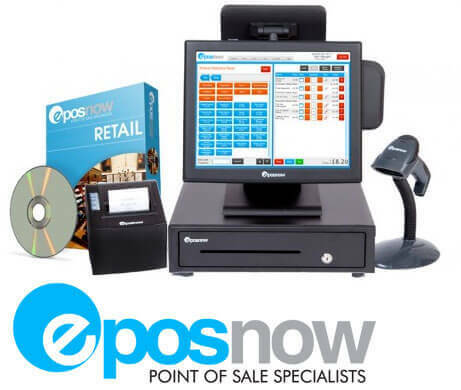 Integrate with your in-store Epos Now system. A seamless customer experience. Plays nice with Epos Now. Nettl :click&collect seamlessly integrates with Epos Now tills. As the fastest growing Epos company in the UK, Epos Now have thousands of customers in both the retail and hospitality sectors. Hundreds more joining each month. Their award-winning systems are simple to use. They are feature rich, and are completely scalable for both small businesses as well as larger, corporate clients. Get started quickly. Upload all your products and categories from Epos Now to your web shop automatically. 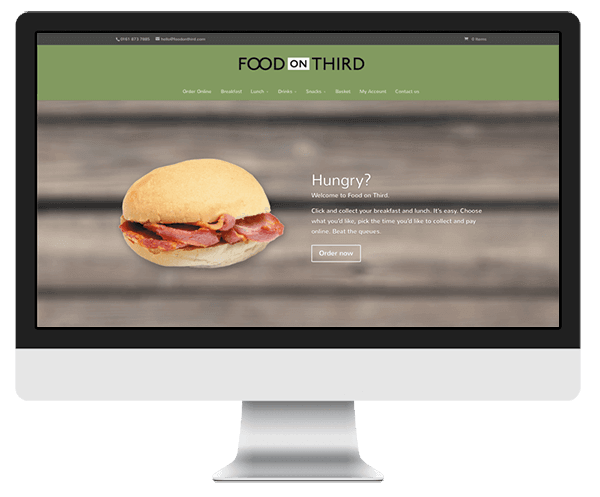 Synchronise stock levels between your website and your till. Your website automatically updates stock levels when you sell an item in store. Manage free and chargeable product options easily. Apply to some or all products on your website. Website to scale with you. From 5 products to 5,000. Optionally send drinks orders to your bar printer. Or food orders to your kitchen printer. Choose whether orders are sent as ‘completed’ transactions or ‘ordered’ for ‘Click and Collect’ in store. 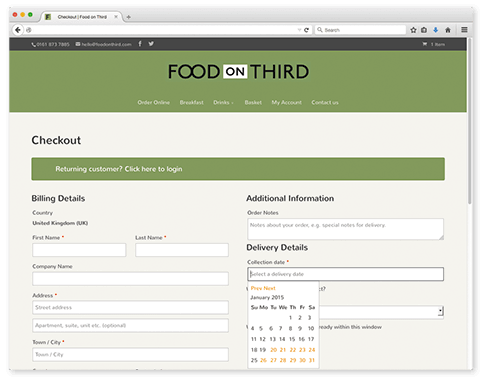 Your operators can easily process ‘Click and Collect’ orders on the till. Edit the order or add additional items. Set delivery or collection options. Including thresholds for free delivery. Set rules on how many time slots are available. To match your staffing or opening hours. Take debit or credit card payments online via Stripe integration. Get paid directly into your bank account. Without needing a merchant account. Securely save customer’s card details against their account. For faster checkout and frequent orders. Optionally allow customers to pay on collection/delivery. Or force them to pay online. Transactions are shown on your till as paid online. Or with balance to be paid. Allow customers to register and edit their contact details on your website. Your till automatically updated when they order. 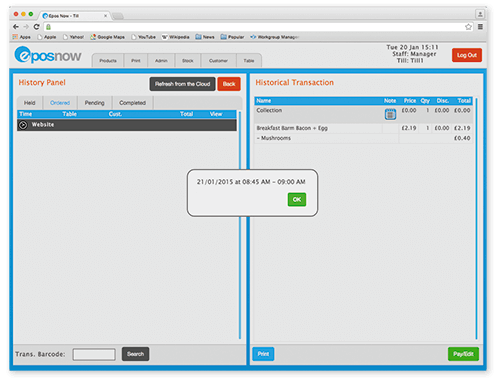 Send transaction emails automatically to customer when they place and order and when they collect in store. Send an electronic receipt or invoice. Custom-designed site to match your brand. Created by real designers. 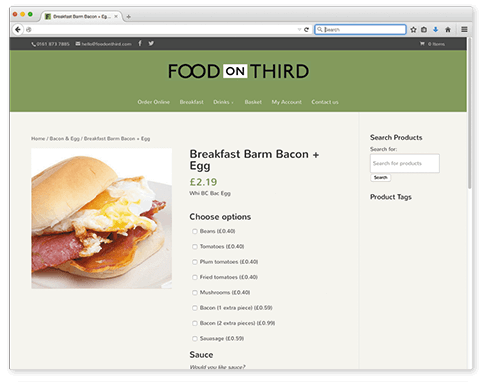 Full content management system (CMS) to allow you to edit product descriptions, text and images. Responsive design scales all pages to optimise for any device viewing. Full-featured on mobile. Not an inferior, cut-down site. Your Nettl :click&collect web shop will be deployed into our cloud platform powered by AWS. This uses the same proven infrastructure that runs famous names like Netflix, Pinterest, Expedia and Amazon.